The life of David, one of the most important people in Jewish religious history, revealed. The author, Rob Levinson was born in a Gypsy clan in the Pacific Northwest of the United States, unusually he was given up for adoption, however it was his adopted parents who raised him into a tradition of literature and encouraged is early writing talents. He was fortunate enough to have the opportunity to explore the world, and it was as a young man that his fascination with the story of David was born. From then on this interest evolved, culminating in his studying the writing of historical fiction. This amazing book is the result of his passion for David and his life, and in it he transports his reader back into ancient times, as he offers them his version of the life of David, one of the most important figures in Jewish religious history. The content is written as a fictional biography, containing some biblical references, however it is written very much as a historical fiction story, not a preachy biblical tome. This wonderful tale grabbed my interest from the very first page, and kept it throughout. This was because of the author’s great ability to describe scenes and characters in such detail, and bring them to life before your very eyes. I quickly found myself settling into the story and taking up the author’s invitation to step with him into the past and get real feel for life in those far distant times. At each turn of the page more of David’s story is revealed, from his birth growing up through his childhood, his life as a shepherd, and his adventures until he became King of Israel. His journey was a hard one, very dark and twisted at times, however the insight it gives us into Old Testament life are priceless. Through his eyes we live through harsh living conditions, the dangers of travelling, and learn about the hard lives of the poor people living with the terrible disease leprosy. With him we experience desert sand storms, terrible battles, and much more. However, for David, as for us all, it is these life lessons which character build and formed him into the man he became, instilling in him important values, morals and strengthening his ideals. 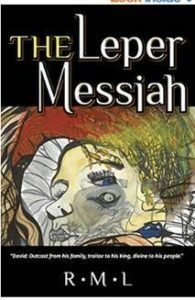 Whether you are interested in religion, history, geography or just like to read a thoroughly entertaining story by an author who has the ability to transport you to another time and place, you are sure to enjoy The Leper Messiah. Rob Levinson is arguably as interesting as any character in his epic story about the early life of King David. He was born in a Gypsy clan in the Pacific Northwest of the United States, and in an odd reversal of the doubtful legends, the Gypsies gave him up to an orphanage. His adoptive parents raised him in a tradition of literature and introspection, and encouraged his early talents as a writer. As a young man Levinson explored the world, running with the bulls in Pamplona, Spain, surviving a scorpion bite in the Negev desert, and winning a camel-hair robe from a Bedouin in an arm-wrestling match. Working on a kibbutz in Israel, he was inspired by Mount Gilboa, where King Saul and his son Jonathan were killed. Levinson decided to sharpen the literary skills he began in his childhood, and over the course of ten years of research and work produced The Leper Messiah. 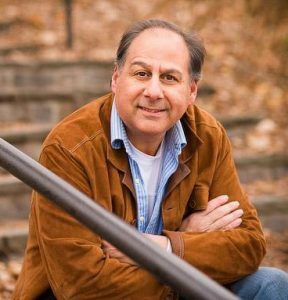 In writing his book Levinson wanted to explore the largely untold part of David’s story; “It wasn’t the mighty King David I sought, but rather the outcast, the troubled one, the desperate David who filled me with wonder. Who was he as a young child? As a young man? How did his home life shape his character? The slingshot years were the ones I wanted to bring to life, not the overblown stories and clichés. A sequel is in the works.